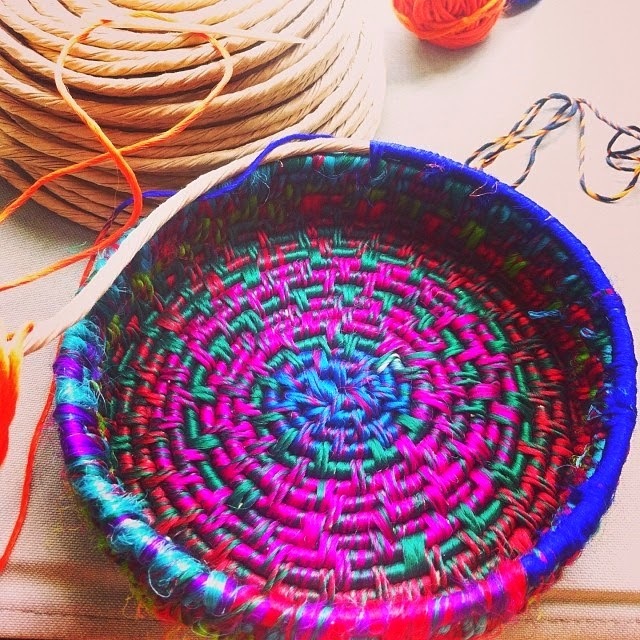 A few weeks ago we kicked off the first in a series of three Spring basket weaving with textiles workshops at The Craft Nest. The first one was exposed core buttonhole (or blanket) stitch and the results were really lovely. Can't wait to see Michelle's completed water bottler carrier! Great company, great food and a really beautiful session of slow crafting. I'm really looking forward to getting together and unwinding at the next one. Cost: $50. Your spot will be confirmed on receipt of payment. Bookings: essential, email rebecca@edwardandlilly.com for payment details and a list of what to bring.